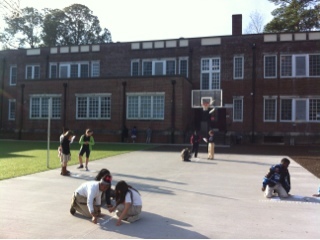 The beautiful weather lately has provided a perfect opportunity to get out of the classroom and do some learning outside! 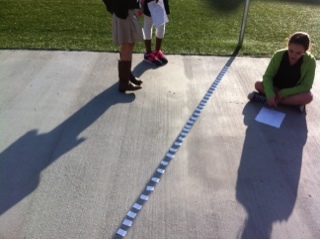 We used some "found number lines" on our playground to practice graphing inequalities. Remember, when solving inequalities be sure to isolate the variable by doing the inverse operation. We are a Certified Mobile Learning Classroom! A Few Reminders about Friday. Help Us Celebrate Our New Playground!